Spring comes late at 10,000 ft! I'd been to this area two weeks before and it was still covered in snow and ice, but now wildflowers were prevailing. 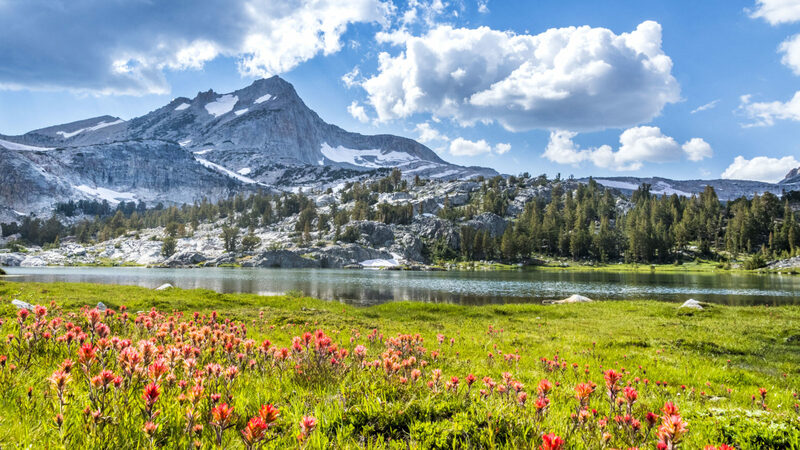 The high country in the Inyo National Forest just outside the east entrance to Yosemite, is a beautiful and uncrowded place to hike.